The launch of a national arts and wellbeing network next month has got me thinking about the way Arts Access Aotearoa likes to work to encourage greater access to the arts, and the collective impact of networks. Arts Access Aotearoa’s vision is big: “All people in Aotearoa can access and participate in the arts”. 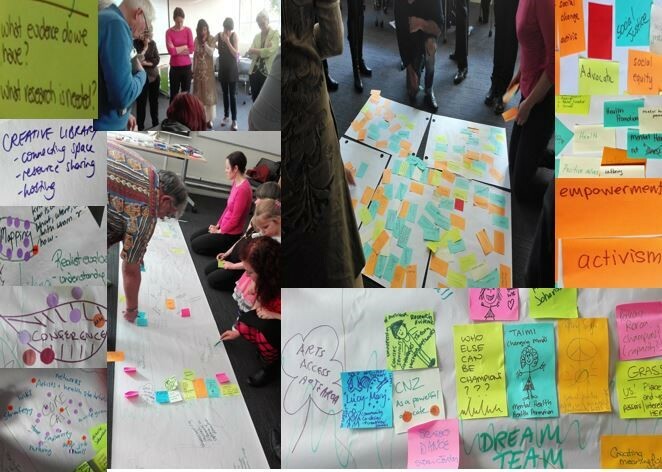 We work alongside individuals, groups and organisations to help us achieve that vision and build creative, connected, inclusive and resilient communities. We are very pleased to support Te Ora Auaha: Creative Wellbeing Alliance Aotearoa, a national network to be launched in Creative New Zealand’s Wellington office by Minister Carmel Sepuloni on Wednesday 3 April. We’ve been involved with this group from its early days in Auckland in 2016. Inspired and co-ordinated by Amber Walls, the group consulted widely and found there was a demand for a national network. Next month’s launch is the culmination of a lot of work. Te Ora Auaha is made up of individuals, groups and organisations from the arts, health, youth, social and education sectors across New Zealand. They are all committed to creative wellbeing and the use of the arts to help address significant national concerns about mental health, social inclusion, an ageing population, and social and cultural inequalities. Central to Te Ora Auaha’s work will be its new website to share knowledge and research, connect the sector, and advocate for policy change and investment. Watch out for the website going live on Wednesday 3 April. In the meantime, anyone interested in finding out more and joining the network can subscribe here. Te Ora Auaha has a Flightdec community website, which means other community arts groups and creative spaces with a Flightdec website can take advantage of its broadcasting facility and broadcast directly into other Flightdec sites. This includes Arts Access Aotearoa’s website. Please get in touch with us if you are interested in finding out more about these community sites. But back to networks … If you go to our website homepage, you’ll see three large boxes along the top: Arts For All, Creative Spaces and Arts in Corrections. 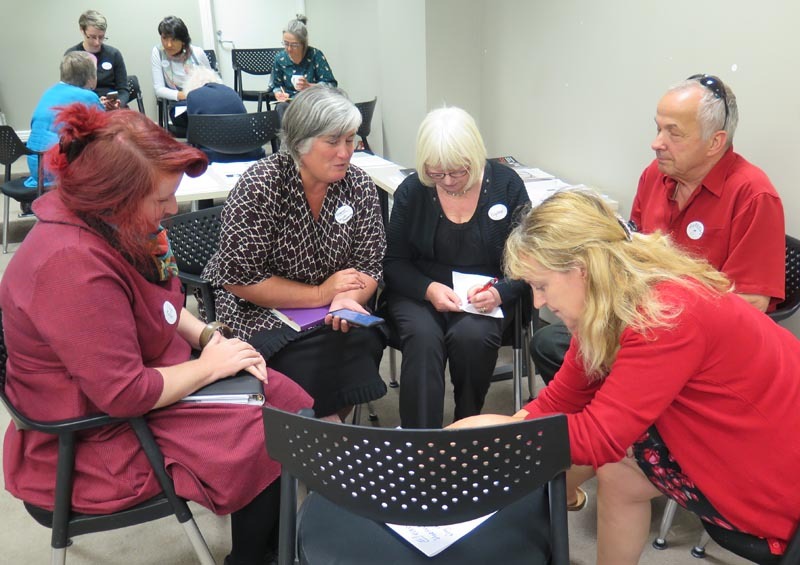 Each of these areas of our work has well-established networks through which members can share ideas and expertise, feel connected to like-minded people and organisations, and seek advice. These three networks that Arts Access Aotearoa facilitates are interconnected and closely aligned to Te Ora Auaha. Claire Noble manages the Arts For All Network across five regions: Auckland, Taranaki, Wellington, Canterbury and Otago. These regional networks meet twice a year and are made up of representatives from the disability and Deaf communities, arts and cultural organisations, arts practitioners and venues. 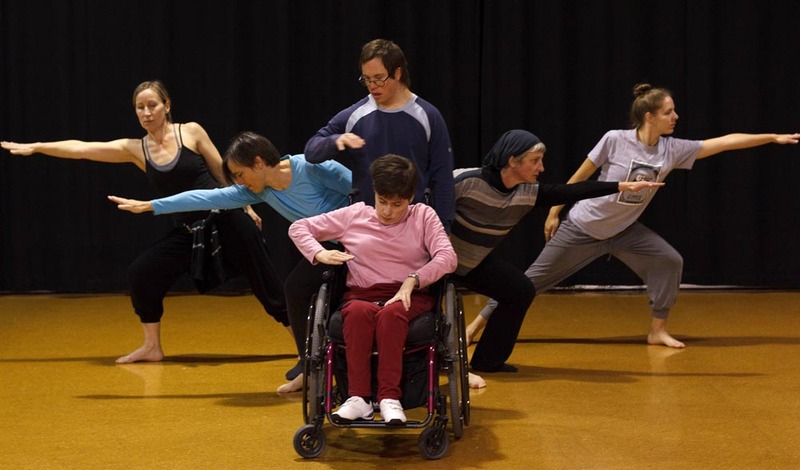 Since these networks were established in 2011, there has been a significant increase in access to the arts for disabled people – driven by Network members and supported and promoted by Arts Access Aotearoa. Thank you for all the amazing work you do. Chris Ulutupu manages the Arts in Corrections Network, made up of Corrections staff and volunteers, Community Corrections staff, artists and writers, academics, and people in the wider community interested in arts and social justice. The Network covers three areas: the Northern Region, Lower North Island, and the South Island. And Jenny Hutchings manages the Creative Spaces Network. There’s a comprehensive directory of creative spaces on our website so please get in touch with us if you would like your community arts space to be included. Claire also manages the Arts Access Advocates Network, which meets three times a year in Auckland. It supports disabled and Deaf people to advocate for increased access to the arts and provide advice on access requirements and challenges. If you have lived experience of disability and are passionate about the arts, please get in touch with Claire (E: claire.noble@artsaccess.org.nz T: 04 8024349). Arts Access Aotearoa’s volunteer writer, Kezia Bennett, lives in Wellington and is a great advocate for access to the arts. A dancer with WIDance, Kezia wrote a blog called What It’s Like to be in WIDance. Thank you, Kezia, for your stories and warm wishes for a successful internship with Wellington City Council. A reminder about getting in your nominations to Te Putanga Toi Arts Access Awards 2019 by the deadline of Monday 8 April. This year, we have introduced a new award, the Arts Access Community Arts Award, to highlight the role of the arts in communities and recognise the outstanding results of a recent collaborative, inclusive arts project. This award replaces the Arts Access Community Partnership Award. We have judging panels to select the recipients but nominating your leaders is a vital part of the process. Please visit our website and get in touch if you have any queries. Original generation time 1.5237 seconds. Cache Loaded in: 0.0341 seconds.